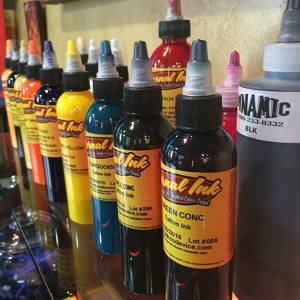 All tattoo pigment (ink) is essentially the same. 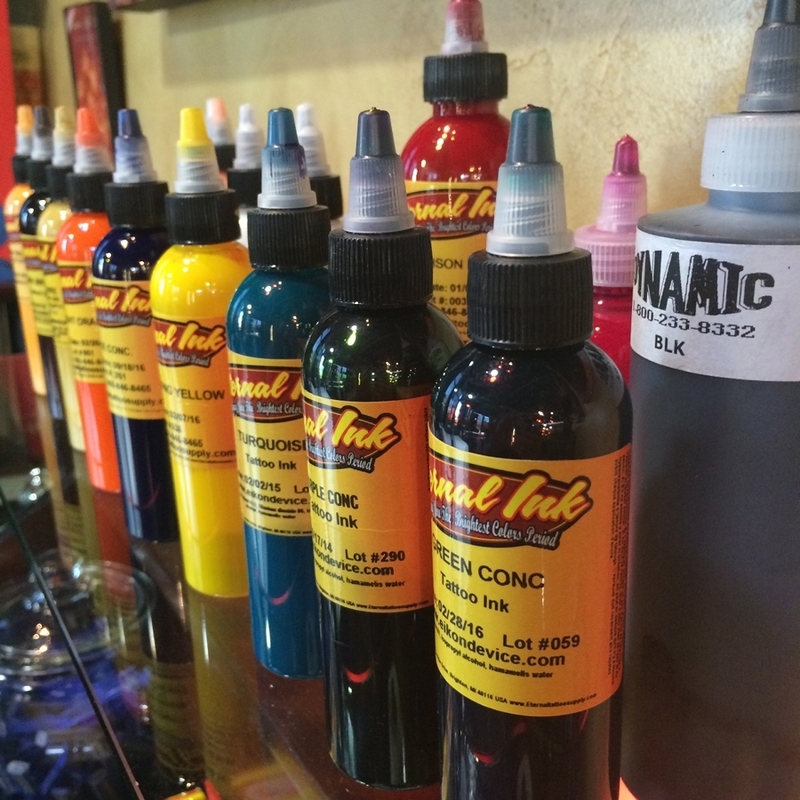 There are many different manufacturers that supply tattooers, and some tattooers make their own pigment. Each recipe is a little different, and these variations result in differing attributes that tattooers use to determine which brand they prefer. Many pigment manufacturers do not share their proprietary ingredients, and only offer a generic MSDS sheet upon request that reads “natural pigment in suspension”. This is why most experienced tattooers who do not make their own pigment will only work with pigment from manufacturers that have been in business a long time and who’s colors are known to work well. Most tattoo inks technically aren’t inks. They are composed of pigments that are suspended in a carrier solution. The pigment provides the color of the tattoo. The purpose of the carrier is to disinfect the pigment suspension, keep it evenly mixed, and provide for ease of application. It is the collectors responsibility to inform the artist if they have any known allergies. (this should be a part of the release form you will sign prior to having any tattoo applied). Allergies to tattoo pigment are incredibly rare, but sometimes do occur. The severity of an allergic reaction can range from mild, to severe. Red is the most common color associated with allergic reaction, but even this is extremely uncommon. Tattoos sometimes go through irritation phases during the healing process which are mistaken for allergic reaction, even by doctors. If you have concerns about allergic reactions to tattoo pigment, discuss them with your tattoo artist prior to being tattooed.